Remember that song that says; “It’s about time to listen to Boom Shaka”? Well, tonight you gotta listen to what I gotta say. On Brenda Fassie’s Weekend Special, vulindlela uthath’ isigubhu seBhongo Muffin or perhaps grab uMdu Msilela ugibele phezu kwendlu ubatshele that God is in the 18th area or maybe if you’re too shy like Zahara, bhal’ incwad’ encane, puff and pass it like Brown Dash. Look, however you do it, whenever you do it as long as you tell the whole wide world that music is not just music, tonight it’s time that it becomes praise. So praise God with a rhythm that beat that rhyme, that song. Tell Zola to tell that Ghetto Scandalous devil that Godonce said through Spikiri, “Angekh’ ungisukele ngoba mina ngizithulele uzozwa mpama, gqu pha, current” But wait, before you start knocking the devil down, ask him just one simple question tell him; “Ngicel’ ukubuza, umunt’ ufana nam umcinezela kanjani?” Ngob’ uvalala, uJes’ avule le –uth’ uvala le avule la. Trust me, with God by your side, your victory over the devil will be a guarantee. Music is not just music; tonight it’s time that it becomes praise. But first things first, you gotta make God ichomy yabana. And even if unguMafikizolo in God’s kingdom Unkulunkulu uyohlal’ eKhona in the mist of it all, through it all Christ Jesus for You paid it all. Coz music is not just music; tonight it’s time that it becomes praise. Girl, accept Jesus as your Lord and Savior coz who the Son sets free, is free indeed. And if you want to accept Jesus as your Lord and Savior all you gotta do is “phakamis’ izandla zakho lapho sikubone uziveze sikubone”. Tonight perhaps Jesus Christ used to be your first love, you back sliding things aint going right or your friends are gone you’re crying “Ngiyagodola”. He says “Ingab’ uphi weh s’thandwa sam kuyaband’ aph’ ekhaya. Take time to worship your God tell Him “I Love You, yes I really do. 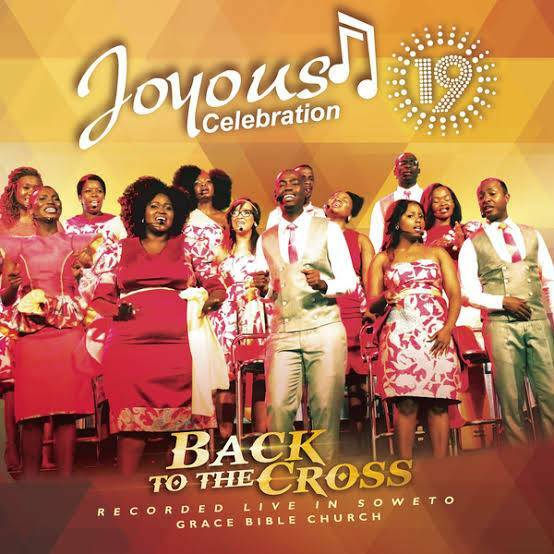 ‘Cause only then Jesus will favor you for 19 years like He did with Joyous Celebration.